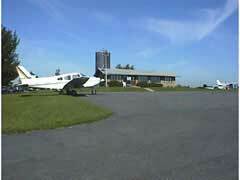 Poplar Grove Airmotive is the fixed base operator at Poplar Grove Airport. PGA offers complete line service, and carries both 100LL aviation fuel and mogas in addition to a wide selection of lubricants. Line service is just one aspect of PGA. Our maintenance facility is equipped to handle anything from a routine oil change to a major engine overhaul. Our growing list of satisfied customers is testimony to the skill and dedication of our shop craftsmen. At Poplar Grove, we do work at a fair price, we do it on schedule and we do it right; the first time.